If you save it you are a miser. If you spend it you are a spendthrift. If you go after it you are money-mad. If you don’t go after it you are lazy. If you accumulate it after years of work you are a fool who never got anything out of life. Conclusion: Balanced method. 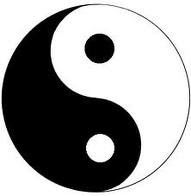 Just like the Yin-Yang in Taoism.